Thousands of people in Kirkintilloch and Lenzie were without water on Saturday after a main pipe burst at Waterside Road. As the Herald went to press today (Monday), Waterside Road remained closed to traffic. This is the statement Scottish Water released to the Herald on Saturday evening. “Scottish Water engineers have completed the repair of a 12 inch PVC water main in Waterside Road, Kirkintilloch, restoring normal network supply to customers who were affected by a burst earlier. The water network in the area as a whole has now returned to normal operation. Around 4,000 affected supplies had already been restored during the course of the day by re-routing water through other parts of Scottish Water’s network and importing additional water to the area via tanker. Affected properties could experience discoloured water, which is normal after a burst of this kind. Customers are advised to run the cold water tap in their kitchen until the water runs clear. 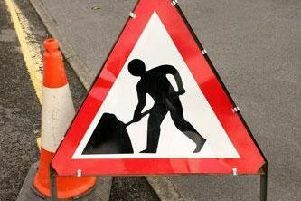 Traffic management arrangements will remain in place on Waterside Road in Kirkintilloch until full reinstatement of the road surface by a specialist contractor has been completed. This will take place as soon as possible.